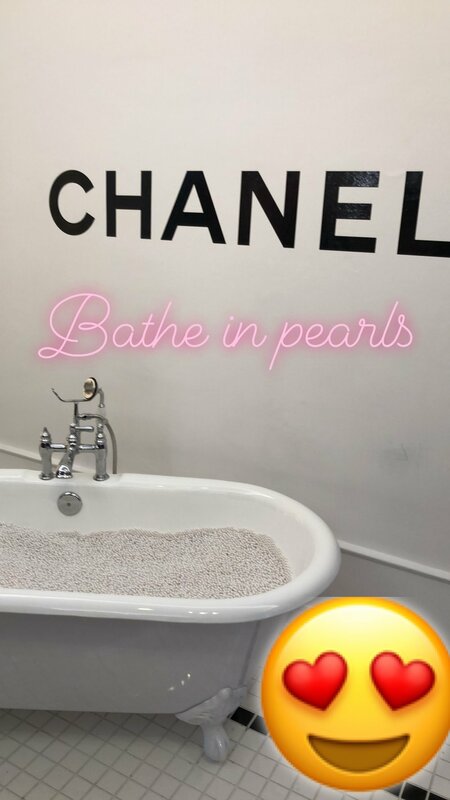 On this week day, I had a blast at the Beauty House Chanel. If you know me that is all I talk about is having a chanel purse. Everything Chanel represents is classy and timeless and I just love that about this brand which means it will never go out of style. Ok just got side tracked but this was about beauty. Super impressed with the lip colors to the point I was like I want it all! What was super cool was that we as the general public had the opportunity to try on these different lippies in different ways. For example, makeup artists were available to suggest colors for you, a station for coloring using the lipsticks to see which color you want to try and a computer generated like mirror that shows you what you would like with each color. SO much fun and a girls dream!! Wait did I forget to mention each room of the beauty house were different setups for a cool photoshoot? Instagram heaven! This event was located in Los Angeles till this weekend but you still have a chance to experience it especially if you live in the area so click here . I truly hope you get to experience this!